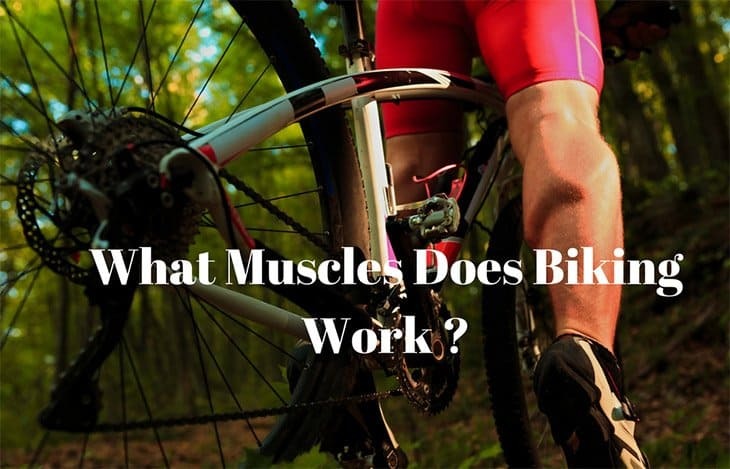 →What Muscles Does Biking Work? What Muscles Does Biking Work? Everyone knows that your legs are the driving force behind riding a bike, but do you know the difference between your Gluteus Maximus and your Rectus Femoris? So what muscles does biking work? Here we take an in depth look at the muscles used for cycling and how to best utilize them. 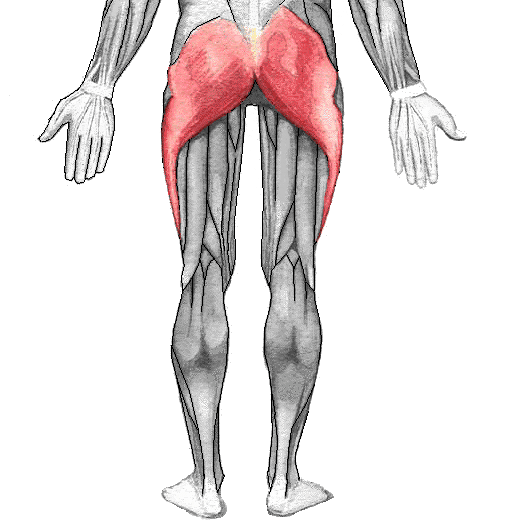 These large muscles in and around your backside generate lots of force and are the bridge between your lower back and your legs. Located on the front and sides of your thighs, the quadriceps femoris is (as the name suggests) a group of four muscles primarily engaged in extending your knee joint and producing downwards force. It is made up of the rectus femoris, vastus lateralis, vastus intermedius and the vastus medialis. 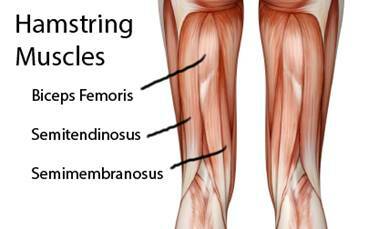 Made up of the semitendinosus, semimembranosus and the biceps femoris your hamstrings provide upwards force and work to close your knee joint. Your calves are the pair of muscles that generate force in your ankle joint. 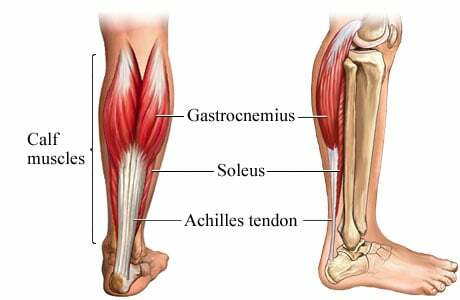 Individually they are called the soleus and gastrocnemius. So where exactly do all these muscles come into play and what can you do to make the most of them? Let’s take a look at one full pedal rotation and see how you can generate power through 360 degrees (this is sometimes broken up into a 4-phase cycle of power down, pull back, upstroke and set-up). The vast majority of power production is generated between 2 o’clock and 5 o’clock during the down stroke. Unsurprisingly this is where the largest muscles of your legs come into play and your glutes start pushing first, in fact these become active at 12 o’clock and are responsible for starting off a pedal revolution. 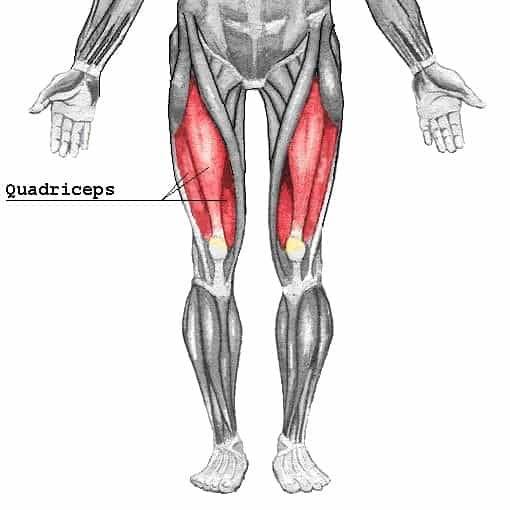 At 2 o’clock your quadriceps and hamstrings join in and peak power production is achieved between 3 and 4 o’clock where around 75% of your leg muscle mass is contributing to driving you forwards. The glutes begin to switch off at 5 o’clock but hamstrings and quadriceps continue to push until just beyond the lowest point of the pedal stroke at 6 o’clock. What happens next is largely rider dependant and depends if you naturally prefer to ride ‘heel down’ or ‘toe down’. Heel down riders keep their calves relaxed instead engaging their hamstrings to pull the pedals in a backwards scraping motion, often compared to wiping your feet on a doormat. 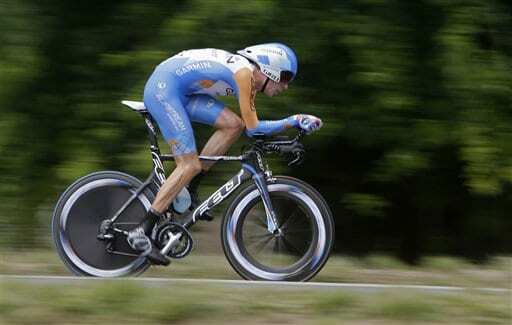 Conversely a toe down rider engages the calf muscles more and actively pulls the pedal upwards from 6 to 8 o’clock. There is no right or wrong here and there are successful cyclist who adopt both methods, cleat placement can also have an affect here with a very forward positioned cleat promoting toe down riding and slammed back cleats making a heel down style more likely. 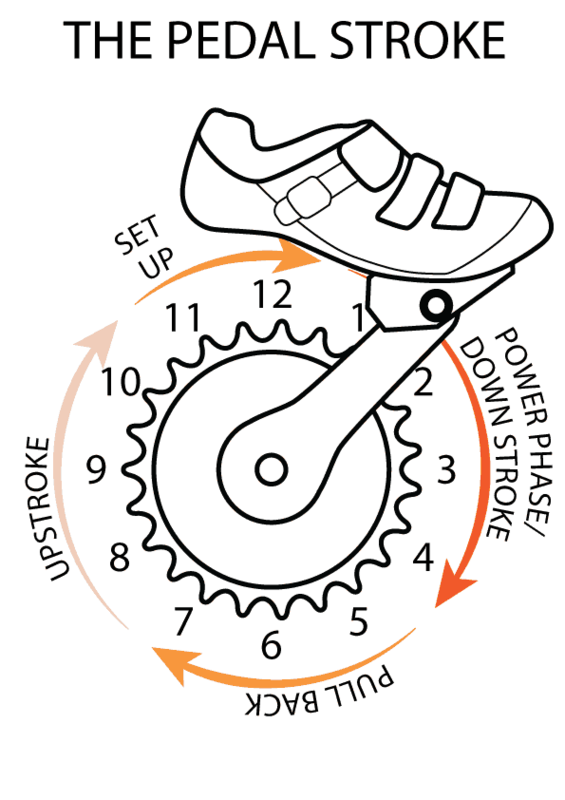 The final third of the pedal stroke involves the least power production and is commonly referred to as the dead spot. For inexperienced cyclists this is often literally true and they rely on the opposite leg pushing them between 8 and 12 o’clock, but with regular training you can learn to generate small amounts of forwards power in this phase and greatly improve your efficiency. The main muscle that can be trained to provide this dead sport power is the rectus femoris which is part of the quadriceps family. An optimised bike fit can help you take advantage of different muscle groups depending on the style of riding and type of terrain you are likely to encounter. If you are planning on doing lots of climbing then a more rearward saddle position will engage your glutes and hamstrings more extensively. For low speed, high torque riding such as climbing steep gradients this will make it easier to generate power through the whole pedal stroke including the dead spot; this is vital for maintaining precious momentum. For riders focussed more on flat riding such as time trials or triathlon then a forward saddle position will enable you to adopt a lower, more aerodynamic position without sacrificing power by shifting more of the work to the quadriceps. No matter what your setup then occasionally shifting backwards or forwards on the saddle and standing up on the pedals will help spread the work and prevent one group of muscles becoming overly fatigued. To enable you to ride a bicycle your leg muscles have to work together in a complex synchronisation, by studying this and with careful and considered bike setup it’s possible to take advantage of this cycle. The result when done correctly is increased efficiency, improved comfort and a lower risk of injury so it’s definitely worth investigating if you’re serious about your riding. I am Robert who is a founder of cyclistchallenge.com. As any true cyclists I love my bike, and like to review bikes is fulfilling to me.When I do not ride, I write reliable and fully independent guides on cycling tips, best place to for rider, how to find the best bikes available, including mountain, road and hybrid bikes,...Welcome to Cyclist Challenge.